Trompe l’oeil—with its conceit being deceit between the painted surface and our world—may seem like a risky painting strategem in our current surreality of alternative facts, where truth is often mediated and obfuscated by PR-speak. But rather than reinforcing the Manichean perspectives spreading worldwide through prevarication, Christina Quarles employs trompe l’oeil to subvert our preconceived notions in It’s Gunna Be All Right, Cause Baby, There Ain’t Nuthin’ Left, the inaugural show at Skibum MacArthur’s new space at Tin Flats. The seductive wall installation presents a tableau of canvases hung salon-style on striped wallpaper and slowly reveals itself to be one painted piece, destabilizing our perception of what is. The work thus challenges us to reexamine what is absolute, resolute, and neutral, and explore both the limits and potentiality of representation. A piece of blue tape holding up a sheet of A4 paper beckons one to scrutinize the illusory pictorial surface, but even up close, it defies recognition as a painted element or actual tape. Such details, succinctly witty but discomfiting, keep us engaged but disallow full immersion into the painting. The notion of neutrality also comes into question through Christina’s use of color. Shades of grey, white, and beige comprise large parts of the painting as raw canvas and the painted wallpaper, shadows and A4 paper highlight these traditionally neutral colors. They clash and compete, betraying the illusion of neutrality. 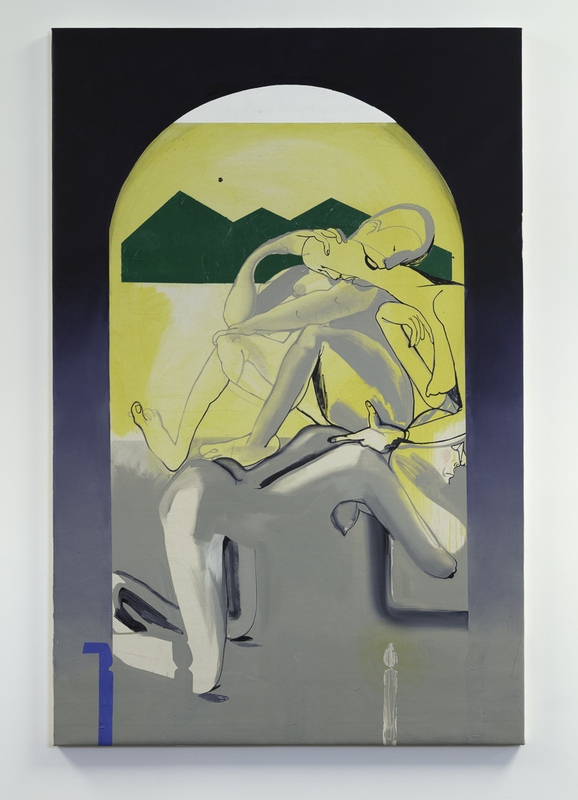 The languid sensual bodies occupying and spilling out of the painted canvases, do not fit neatly into expected cues of race and gender, resisting essentialization. But they, twisting and writhing in a flux state of embrace, represent intimacy with clarion truth. In dismantling our assumptions and heightening ambiguity, Christina’s work undermines our sense of certitude and suggests that we unmoor ourselves from our privilege to locate empathy. 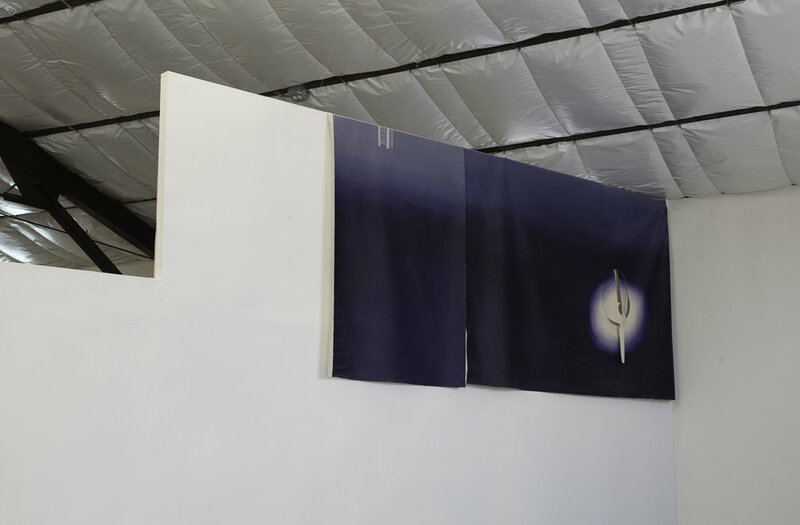 Christina’s show also marks the move of Skibum MacArthur to Tin Flats, a new artist-run space founded by Stephen Neidich located in Frogtown at 1989 Blake Avenue in Los Angeles. The space, in addition to featuring studios for artists and a workshop, will host residencies with the Underground Museum and a full schedule of events and exhibition programming. Christina Quarles (b. 1985) received an MFA from the Yale School of Art in 2016, and holds a BA from Hampshire College. Christina was a 2016 participant at the Skowhegan School for Painting and Sculpture. She is a 2017 recipient of the Rema Hort Mann Emerging Artist Grant and the 2015 recipient of the Robert Schoelkopf Fellowship at Yale University. 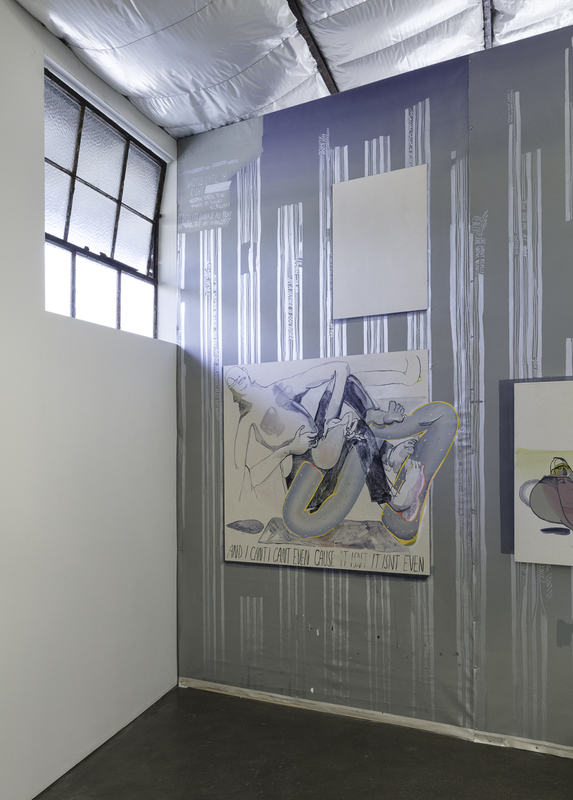 Recent exhibitions include “I’d Rather Be Here Than Almighty” (315 Gallery, Brooklyn, NY), “Partners” (Abrons Art Center, New York, NY), and “Queering Space” (Yale School of Art Green Gallery, New Haven, CT). In 2017, Christina will have her work exhibited at LAXART (Los Angeles, CA), On Stellar Rays (New York, NY), and have a solo exhibition at David Castillo Gallery (Miami, FL). Christina Quarles lives and works in Los Angeles, CA.